Microneedling rejuvenates your skin’s collagen through an acupuncture-like treatment. Ever hear the adage: “what doesn’t kill you will make you stronger”? Well… being pricked with a needle definitely won’t kill you, but it’s also not likely to produce a benefit either, like making your skin stronger. Right? How about being pricked many times, over and over again? Imagine being pricked 10 times… how about 100 times… no wait there’s more… how about 5,000 times. To make it even more interesting, how about 5,000 needle pricks all on your face!? 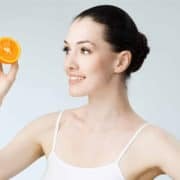 Ironically, even though many people are willing to endure various degrees of torture for the sake of beauty, if done properly, what sounds like sheer torture will not only be relatively painless, it will in fact make your skin healthier and stronger on the inside and more youthful and beautiful on the outside! The procedure I am talking about is called “microneedling” or, in scientific articles, “percutaneous collagen induction”. Microneedling is an revolutionary protocol that will give you healthier skin with a more youthful appearance by rejuvenating your skin’s collagen through an acupuncture-like treatment. Microneedling can restore your youthful appearance by introducing holistic processes to rebuild your skin’s collagen. Given that in our clinics we practice Integrative Medicine which includes acupuncture, we noticed immediately that the needles used in microneedling were essentially the same as acupuncture needles, just much shorter. Thus, we call the procedure “Collagen Induction Acupuncture” or CIA. 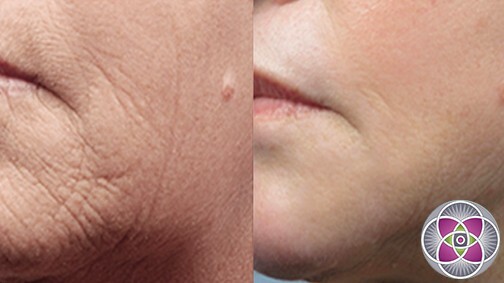 Another commonly used term for the procedure is Collagen Induction Therapy. Regardless of the terminology used, the microneedling procedure is quite simple. When expertly performed, microneedling causes a change in micro-electrical-currents that flow between cells (demarcation currents) that trigger a cascade of growth factor production. These growth factors cause the formation of new blood vessels and critical new blood flow to the dermis followed by the migration of new fibroblast cells. Consequently a harvest of new, strong and healthy collagen fibers fills the dermis. To accelerate and amplify this process, as we apply the microneedling treatment, we also infuse into the skin PRM formulations, which increases the overall efficacy of both the PRM and the microneedling treatments. Watch the Video : How does microneedling work? The concept behind microneedling is actually very simple and well known. If you damage any tissue, it will repair itself. If you wound any organ, the cells of that organ have the capacity to regenerate new tissue to repair and replace the damaged tissue. The skin is an organ (our largest organ) and is no different. In this case, each tiny insertion of a needle causes a tiny amount of damage that stimulates the repair and regenerative mechanisms of the skin. To be more precise, the fibroblast cells of the dermis, whose job it is to generate collagen and elastin, are stimulated by the penetration of the needle and release a cascade of growth factors that regulate the mechanisms of tissue repair and replacement. Accordingly, with microneedling thousands of needle insertions generate a greatly amplified response. Subsequently, as increased amounts of new collagen, elastin and other matrix components are generated the skin goes through a natural remodeling process that renders it stronger and healthier on the inside, and more beautiful and youthful on the outside. This simple procedure definitely results in skin tightening, skin lifting, shrinking of pores and overall skin rejuvenation. Many elements of aging and damaged skin improve, such as fine lines, wrinkles, skin roughness, scars, and, to a lesser degree, skin sagging. Essentially, microneedling is stimulating the natural physiology of the skin, and engaging it to rebuild itself from the inside out. As previously mentioned, we have developed protocols using microneedling for effective treatment of even severe acne scars, stretch marks, surgical scars and traumatic scars. As you know, we practice a form of medicine called Integrative Medicine, which means that we integrate any viable methods for achieving the results that make our patients healthier and happier. We consider this approach “holistic” and physiological, in that we are combining different methods of stimulating a patient’s natural physiology to repair and regenerate new healthy tissue, thereby achieving the desired results. Essentially our protocols are a science of getting results, and over the course of tens of thousands of treatments, we have consistently discovered that combining modalities produces better results. Accordingly, we have found that far and away the best results are achieved by comprehensive protocols that combine microneedling (CIA) with such treatments as laser skin tightening, laser skin resurfacing, dermal infusion, Platelet-Rich-Plasma (PRP) and stem cell therapies. Regular microneedling treatments are a fabulous way to maximize your investment in a non-surgical face lift, by continuously nourishing and stimulating your collagen production. Here are a few details in regards to why microneedling is incredible for your skin and how we perform each treatment. Prior to the microneedling treatment, a patient’s skin will be numbed with topical anesthetic for approximately 45 – 60 minutes. After the numbing cream has been washed off, the skin is disinfected in accordance with proper clinical standards. If the patient is allergic to topical anesthetics, other methods of making the patient comfortable will need to be employed. If a topical formulation has been selected for infusion into the skin, it will be applied to the skin after which the microneedling can then proceed. The microneedling treatment is administered with tiny acupuncture needles arranged on a pen-like device. 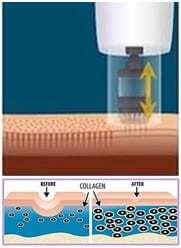 Hundreds of precise needle insertions through the epidermis (the thin top layer of the skin) into the underlying dermis where the collagen matrix is found. A grid pattern is typically used so that the density (spacing) of the needle insertions is even throughout the area being treated. A number of surgical “pen-like” devices have been developed that have electric reciprocating motors in them that cause the needles to move up and down like a sewing machine many times per second (similar to a tattoo gun). These devices can also vary the depth that the needles penetrate, so that the proper insertion depth can be selected to match the varying thicknesses of skin. Nugget: As in all medical procedures, accuracy and precision is key. 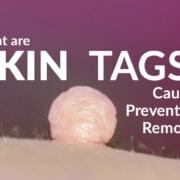 The thickness of the dermis of your skin on different parts of your body will vary greatly. Thus, the depth of penetration of microneedling should be precisely matched. For instance, the skin on your cheeks is far thicker than the delicate thin skin under your eyes. Thus, whereas a microneedling penetration depth of 2 millimeters might be appropriate for your cheeks, it’s likely that only 0.25 mm would be correct under your eyes. Additionally, the density of insertions should also be properly matched to the skin. Some skin might benefit greatly from increased density of insertions per square inch, provided by a second and third “pass” of the microneedling device. Conversely, other areas of skin would be overstressed by even a second pass let alone a third. It is common that the microneedling will cause pin-point bleeding. This should be expected and is often the therapeutic end-point that needs to be achieved in order to ensure good results. As the needles are extremely thin, the bleeding is miniscule and stops very quickly. Typically, a patient’s face is “pinkish” when they leave our clinic, which may persist for 24-36 hours. 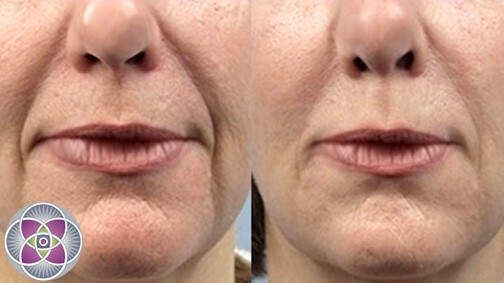 Depending on the condition of the skin, typical protocols for skin tightening call for a series of 3-5 microneedling treatments approximately 3-4 weeks apart. Protocols for scarring may require as many as 8 microneedling treatments. Bottom line: Microneedling treatments properly done are comfortable, quick and safe, the healing time is minimal, the results are long lasting and real, and the cost is relatively inexpensive. Bottom line: Even though this procedure is really easy to perform, there is more to it than meets the eye. Be sure that whoever you choose to perform this procedure on your precious face is experienced and has an expert understanding of the anatomy of your skin. Thus, depending on what you desire regardless of the various marketing terms used; a non-surgical facelift, a cheek-lift, a neck-lift, a mini face lift, or simply skin rejuvenation, the results of microneedling when done properly can be customized to help you achieve your goals. We have performed this procedure many thousands of times, on patients of all ages, with every conceivable skin type, and have found that the clinical results of microneedling include improvement in skin tone and firmness, reduction of pore size, reduced sagging, fine lines and wrinkles. We have also developed effective microneedling protocols for stretch marks, acne scars, as well as surgical and traumatic scars. The other good news about the results of microneedling, is that it is relatively inexpensive to provide, simple to perform, it is very safe, and there is no down time. As you know from many of my other articles, getting important physiologically active substances into a patient’s dermis is very big challenge. Simply put, the skin is designed with many barriers precisely engineered to keep things from getting into or through the skin. To date, we believe that microneedling is the very best method ever for achieving exactly that; Dermal Infusion. Simply put, if it were possible to get specific vitamins such as C, E, A, B into the dermis, it would help skin rejuvenation anywhere on your body. So would the infusion of other important compounds such as Alpha-Lipoic acid, specific amino acids, lanolin and even PRP (platelet rich plasma) and Stem Cells. Delivering these important substances directly into the dermal matrix would support a huge boost in the skin’s ability to generate new healthy collagen, and is more easily and effectively achieved with microneedling than any other method. In fact, it is our experience that though microneedling alone is effective, combined with dermal infusion of appropriately selected and prepared compounds makes microneedling treatments so much more effective that we never perform microneedling without it. Nugget: Once again the issue of clinical experience and expert knowledge of skin physiology is important. Of the many substances that can be dermally infused with microneedling, not all are needed or appropriate for every patient. Furthermore, some substances will interfere with the physiological activity of others if mixed together. Therefore, knowing which substances to infuse, when, and in what order to infuse them requires real clinical experience and expertise. Once a patient’s skin has been treated and is now in a healthy condition internally, and good looking externally, we have found that microneedling is a really effective and inexpensive way for patients to keep their skin in top shape. 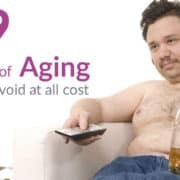 Like going to the gym on a regular basis to keep your internal organs in good shape, your external organ, (your skin) also needs regular exercise. Microneedling by itself, or combined with dermal infusion, can do wonders to keep patient’s skin in top physiological condition internally and youthful externally. In fact, this basic combination is what many of our patient’s call a “mini facelift”, and when performed on their neck, a mini neck lift. When is Microneedling NOT Appropriate? A. Let’s talk about the preparation for the treatment. The first thing is the patient’s skin is cleaned. Next we apply a topical anesthetic to the patient’s skin that will sit for 40 to 60 minutes depending on the patient’s level of sensitivity. 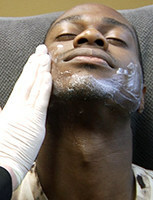 Once the patient is completely numbed, the anesthetic is then washed off of the patient’s skin. Once the skin is properly prepared, the patient can go through the microneedling treatment quite comfortably and not feel any pain. Q. What is the downtime for the microneedling treatment? Is there redness? A. The patient’s skin will be light pink to sunburn red for a day or two at most. We have many patients that come in on their lunch break for a microneedling treatment and head back to work that same day. Q. 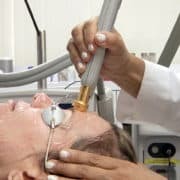 How much does the microneedling treatment cost? Is it expensive? A. The good news is that the cost of microneedling is very low to perform. The microneedling device isn’t very expensive. The needles themselves do need to be discarded after each treatment because they get contaminated. Each treatment requires a new set of needles. So the whole treatment does not cost much to provide. It is far less expensive to perform microneedling than using a million dollar laser. Q. How many needles does the device have and what do they do? A. Each tip has 11 little needles. Each stamping has 11 insertions at 80 times per second so there are 800 insertions in every second. The purpose is to stimulate the regeneration of the skin both in the epidermis and dermis. This stimulates the physiology to actually do what it used to do when you were much younger. Q. Who can benefit from this treatment? A. Anyone who is losing collagen or has the kind of damage you see from thinning skin. 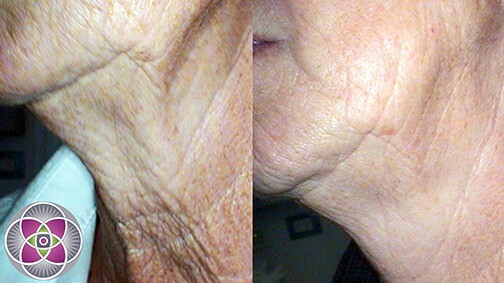 Anyone with fine lines, wrinkles or sun damage is a great candidate for microneedling. Some of the most damaged skin we see in our clinic for instance are from people who spend a lot of time in the sun such as professional golfers, farmers and cyclists. 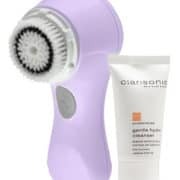 People who spend a lot of time in the sun and are experiencing the effects of sun damage such as actinic keratosis on their arms, skin that is getting thin, wrinkly and crappie, or lots of little white hypo-pigmented spots right next to dark spots that look really ugly. A little ozonated oil on the skin, infused into the skin with microneedling, makes a huge difference. https://www.amaskincare.com/wp-content/uploads/2018/04/doesmicroneedlingwork.jpg 465 936 Alice Pien, MD & Asher Milgrom, PhD /wp-content/uploads/2017/10/AMA_large_logo.png Alice Pien, MD & Asher Milgrom, PhD2018-04-10 23:32:582018-09-24 18:28:51Microneedling : What is it? Does it Work? What are the Results?